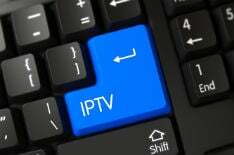 Over the past couple of years, unauthorized IPTV services have been making their presence known in the ‘pirate’ TV space. As recently reported, pirate IPTV services are accessed by 5.5% of US and Canadian households. The range of content is phenomenal, with few – if any – official entertainment companies in a position to compete. Such services are typically accessed via set-top boxes, from ubiquitous Android-based platforms through to dedicated IPTV hardware. None of these devices are designed to be infringing but with the addition of third-party services, they can be transformed into piracy powerhouses. For those looking for a premium IPTV experience, the MAG box range from Ukraine-based Infomir are the tools of choice. The compact devices are used by thousands of consumers to access legitimate content via a beautiful interface but like any such hardware, these boxes can also be used to access infringing streams. Infomir has understandably distanced itself from this kind of illicit consumption but until now doesn’t appear to have interfered with the choices of its customers. Moving forward, however, it’s clear that will change. “Infomir is an international company operating in over 150 countries globally. As a manufacturer of multimedia devices, we are subject to copyright and related rights legislation, which we respect and adhere to,” the company says. 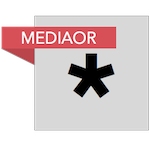 IPTV services (both legal and less so) often supply a URL which enables MAG and similar devices to access their ‘portal’. These are entered into the device’s setup page, with the box typically being authorized at the provider’s end by verifying its MAC address against a pre-registered one. However, Infomir appears able to prevent certain portal URLs from being accessed via its set-top devices and there are some unconfirmed reports online which indicate this may be happening already. TorrentFreak spoke with Infomir to find out more about this development. Will the company block portals following straightforward copyright complaints, for example, or is a court order required? “The complaints need not be necessarily backed up by a court order. The form and contents of a copyright complaint must conform to the DMCA requirements,” Infomir Legal Counsel Vladislav Larionov informs TF. Some IPTV providers not only provide access to ‘pirate’ streams but also other content that has the potential to be non-infringing, depending on a users’ circumstances. For instance, there could be questions raised over legality when the holder of a UK TV license only accesses BBC One and similar channels via an IPTV service. Speaking in more general terms, TF asked Infomir if over-blocking is a concern. The company told us that they require detailed complaints from rightsholders to block portals and they give services that are blocked the right to file a counter-complaint. “We respect the rights of legitimate service providers, and we are concerned that such service providers might be reported by mistake or due to misidentification. That is why we request that copyright infringement reports submitted to us comply with the DMCA and contain a statement under penalty of perjury that the report is true and accurate,” Larionov explains. Finally, it’s not entirely clear how MAG devices are prevented from accessing portal URLs and Infomir informs TF that it won’t provide that information as it might “downgrade” its “access restriction system”. There is already some speculation on specialist forums that firmware updates may be responsible but no clear confirmation is currently available.